Dalsi variace z kynuteho testa, na tzv. "sneky". Na podrobny a krasne nafoceny postup se muzete podivat zde. Ja jsem zdvojnasobyla davku (pulku bile mouky nahradila celozrnnou ), z ni udelala pet mensich "zavitku" a po upeceni je jeste polila citronovou polevou. 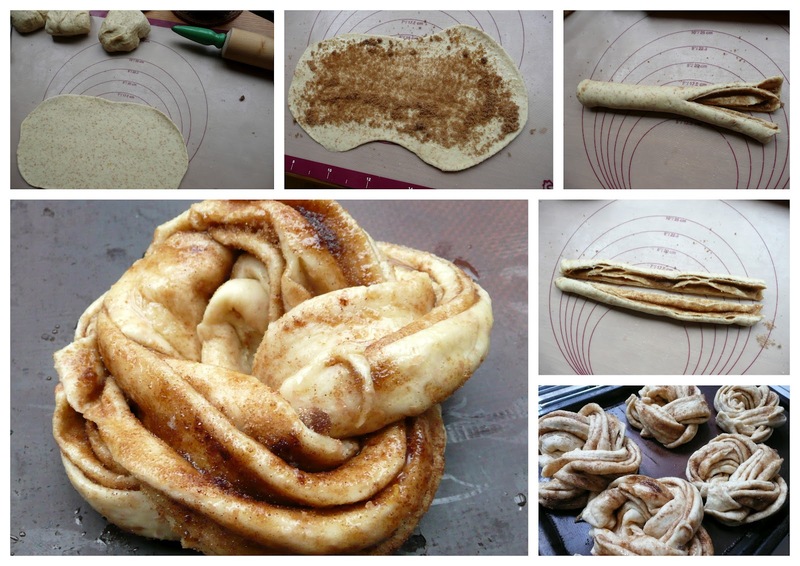 Another variation of the well love cinnamon buns " Estonian Kringe " I substituted half of the white flour with whole wheat, doubled the batch and made five of them instead of just two. I also drizzled lemon glaze on them after they were baked.